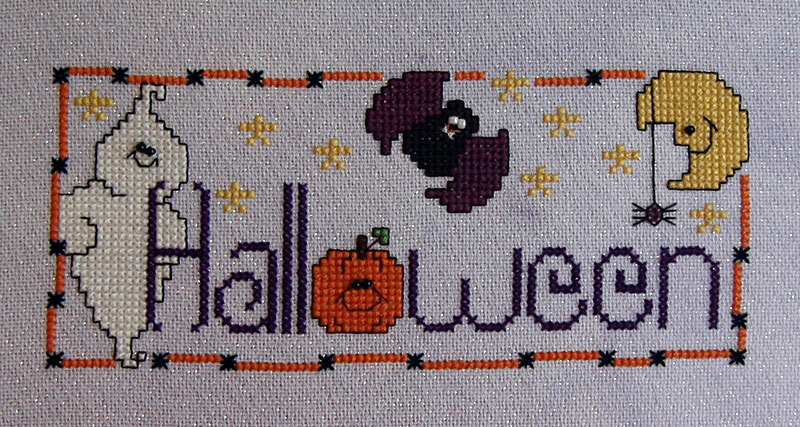 Lara's Loose Threads: Halloween freebie! Here it is! I'm still not sure how I'm going to finish it (I'm leaning towards trying my first flat-fold). I stitched it on Silkweaver 32 ct. Opalescent Lugana (color "Glistening Heather") with DMC floss. I left off the "Boo"s and I substituted beads for the French knots for the eyes.